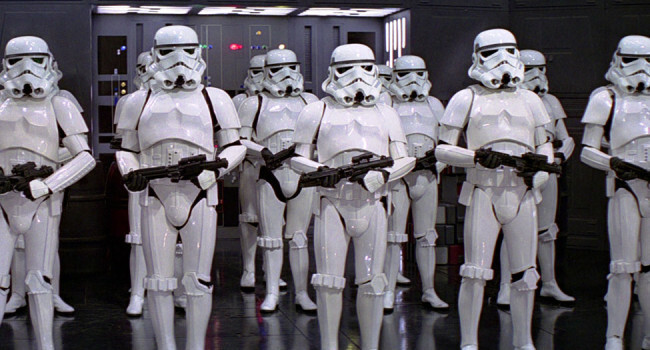 In Star Wars, Stormtroopers are the ground force of the Imperial Army. They tend to have poor aim, and thus are mostly of value as cannon fodder. Stormtrooper costumes range from supreme replicas at a hefty price to paper-thin and barely-there if that’s your thing. We recommend something in between.